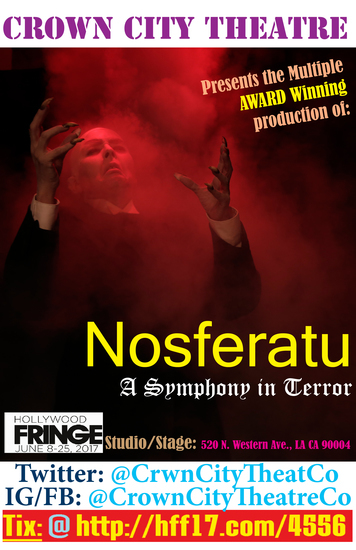 Hollywood Fringe - nosferatu, a symphony in terror. and mysterious ends of our own imaginations. Crown City Theatre presents Nosferatu through the magic of music, dance and drama. 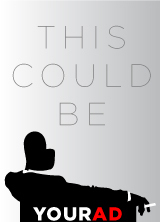 This is a unique and unforgettable evening of theatre! Preview: Saturday, June 3, 2017 at 1:00 PM. Opening: Saturday, June 10, 2017 at: 8:00 PM. Performance: Wednesday, June 14, 2017 at: 10:00 PM. Performance: Thursday, June 22, 2017 at: 8:00 PM. Closing: Saturday, June 24, 2017 at: 3:30 PM. All tickets are $12.00 and can be purchased at: www.HFF17.com/4556 & or by calling: 818-605-5685.